Even if the upcoming PCS season doesn’t put your house on the market, the warm temperatures bring on the urge to update and freshen homes. Homeowners considering a bathroom or kitchen renovation need to know exactly what their budget is getting into. It’s well known that some of the best returns on your property investments are remodeling the home’s kitchen and bathrooms. To what degree of dollars spent depends on your personal housing forecasts. If you’re staying put, the options are as open as your wallet is large, because resale value estimates will be lower on your list of priorities. If you’re going through the trouble of a major renovation, you might as well love what you buy, right? But if you are a typical military family and foresee yourselves moving sooner than later, then the choices change a bit, according to the decision to sell the home or become landlords. Either way, understanding the money it will take to ensure a properly executed renovation is important before the first swing of the sledgehammer. Before you start picking out cabinets and hardware, a lot of thought has to go into the planning of the kitchen redo. Is this purely a cosmetic overhaul, or is the footprint too small and not user friendly? Matching your needs with your available budget is the hardest part of the planning process. Renovation numbers range so broadly, it’s difficult to get a hold on what to expect. But several factors will guide you to your best tallies. An industry leading trade association, the National Kitchen & Bath Association (NKBA) shared their estimates for the average kitchen update costs. Traditionally, guidance suggests that homeowners should spend between 5 and 15 percent of their house’s total value to obtain the best ROI before the home’s sale. However, this can be a difficult formula to follow while meeting the needs of a service member who will likely move or become a military landlord from afar. The NKBA further breaks down expectations for each component of the redesign and renovation process. In 2017, the National Association of the Remodeling Industry (NARI) and the National Association of Realtors produced the results of a Remodeling Impact Survey. The following results reflect the information gathered from Realtors, NARI, and homeowners. 54% of Realtors suggested sellers complete a kitchen upgrade before a home sale. NARI Remodelers’ cost estimate $35,000. Realtors estimated cost recovered $20,000. Percent of value recovered from the project 57 percent. As with a kitchen project, the renovation of a bathroom needs a thoughtful process to reflect on the possibilities and the intended outcome of the project. Updating a master bath to improve ROI or just for personal comfort is far different than updating the cosmetics of a guest bathroom. 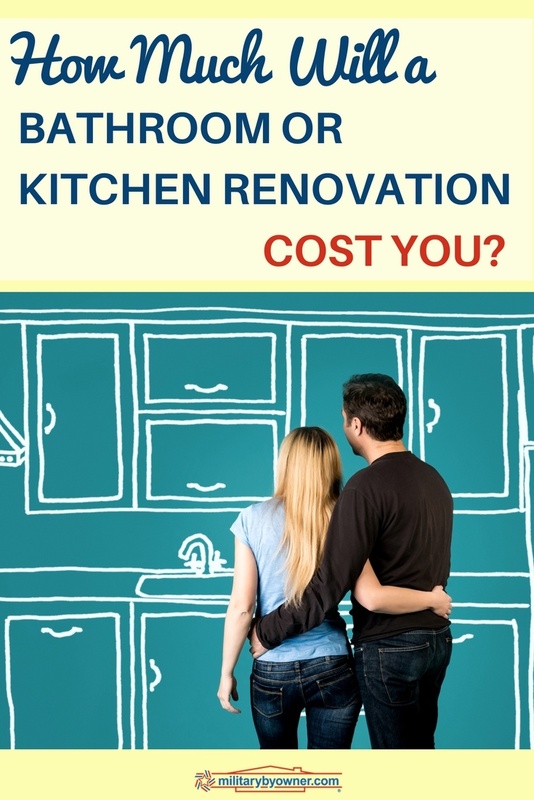 The NKBA suggests average bathroom remodel costs $9,639, but the majority of homeowners spend between $5,923 and $14,023. The cost estimates inflate quickly when plumbing and electrical lines need to be shifted or replaced. 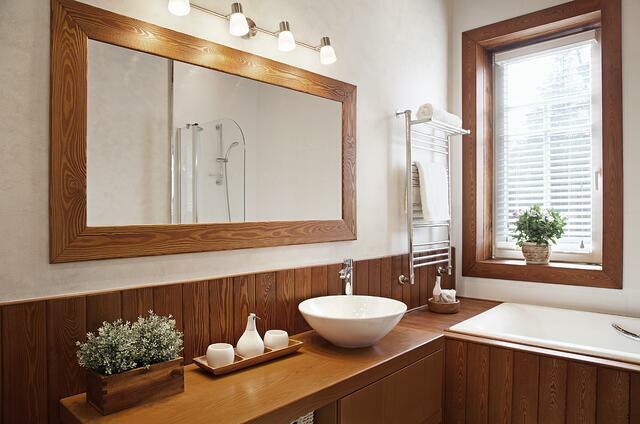 44% of Realtors suggested sellers complete a bathroom renovation before attempting to sell. NARI Remodelers’ cost estimate $30,000. Realtors estimated cost recovered $15,000. Percent of value recovered from the project 50 percent. 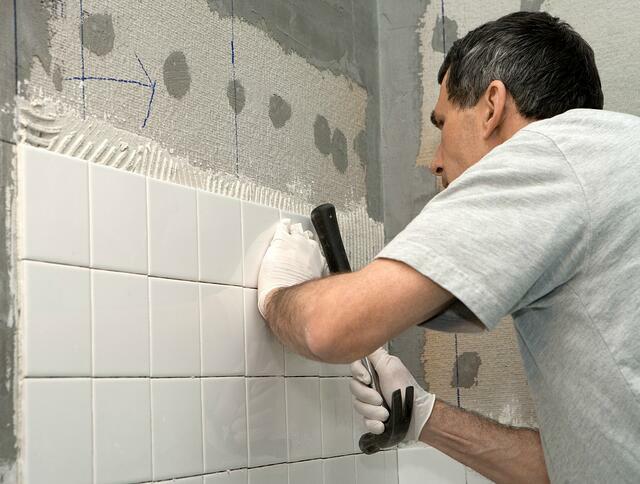 A kitchen or bathroom renovation won’t likely be a simple walk in the park, especially if military life forces a quick home selling timeline. Here’s what you need to research and learn before the mess begins. A hidden resource of a home renovation is your own DIY power. Assessing how much you're willing to contribute to the process will ultimately dictate timelines and budget increases or decreases. Demolition is often a portion of the design process amateurs (with contractor guidance) can accomplish themselves. Painting, researching, and shopping for products are ways to be involved and save money. Working with your chosen professionals, ask their opinions for money saving techniques. For example, instead of custom cabinetry, refacing or repainting might do the trick. There are many ways to save on stone counter tops, from repurposing and re-cutting, to using alternative materials. New appliances also tend to push the budget’s limits. Be honest with yourself and determine the necessity of their capabilities. An everyday cook won’t necessarily benefit from a gourmet stove top and custom range. Lastly, keep in mind, unforeseen costs are just a part of the remodeling game. Removing old drywall or outdated fixtures often reveals other projects that have to be attended to before the transformation begins. 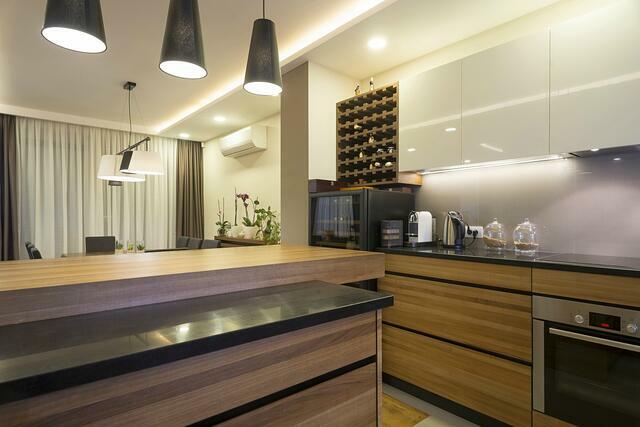 Certainly, a complete renovation will bring much joy and possibly financial boon, but starting a kitchen or bathroom renovation takes patience and a lot of planning. Although the rooms are small, they involve just about every system with the house. Many of the houses MilitaryByowner has for sale or rent mention updated bathrooms and kitchens in their advertisements. For good reason! Both renters and buyers are looking for the latest in comfort and efficiency.